Bobby Robson’s rollercoaster England reign contained some low points amid the highs, but arguably the lowest moment for him arrived on June 2, 1984. England were playing the Soviet Union in a friendly at Wembley, with Robson desperately needing a good result to silence the critics. In recent months the side had failed to qualify for Euro ’84, looked second best in losing a friendly against France and endured a mediocre final Home International Championship campaign which included a defeat to Wales. Not helped by a high number of players being unavailable, England slumped to a disappointing 2-0 loss to the USSR and it was the final straw for some fans. As the side left the field, loud chants of “Robson out” could be heard. It was far from every fan at Wembley shouting it, but it certainly wasn’t a tiny minority either. It would be hurtful for Robson, under pressure just two years into the job. But the patriotic Englishman wasn’t going to call it a day, revealing he had rejected an approach from Barcelona as he sought to rectify matters. Terry Venables would move to the Nou Camp instead. But there was a fear that the pressure on him and England was about to get much worse. They were now heading to South America for an end-of-season tour, made possible by their absence from the European Championship in France. During an interview after the USSR game, the BBC’s Jimmy Hill would suggest to Robson that the tour should be cancelled amid the potential embarrassment of heavy defeats. Robson went on the defensive as his former Fulham team-mate put him on the spot, but there was little doubt the knives were out. Few were expecting England’s youthful side to avoid defeat against Brazil eight days later. Bobby Robson was under pressure as England headed out to South America. Robson was seeking for England to be more adventurous, but they were desperately short of forwards. Several were unavailable for various reasons and there were fitness doubts over Tony Woodcock, with uncapped QPR pair Clive Allen and Simon Stainrod being called up at literally the last minute as they prepared to fly out to Asia on club duty. Also off to South America was tall Portsmouth forward Mark Hateley, who had made his England debut as a substitute against the USSR. This was to be a life-changing trip for him, as he went from being known mainly as the son of Tony Hateley into a forward recognised on the continent – swapping the Second Division for Serie A.
Robson spent the flight out to Brazil weighing up whether to go for it or play it cautious for the opening game of the tour in the Maracana. He was to opt for the former and use genuine wingers. “I was going to persist with the gamble and to hell with everyone who said it was suicidal,” he recalled two years later. “I made the decision in the full knowledge that we could get a fearful roasting if it went wrong.” It was certainly a gamble, but one that helped to salvage his England reign. It has to be conceded this was not one of the great Brazil sides. Many of the key players from the much-loved 1982 World Cup team such as Eder, Falcao, Socrates and Zico were absent for this game. But it was still Brazil, the nation millions looked up to and they were considered almost unbeatable in the Maracana. Most recent meetings between the sides had been close, but England had not beaten the Brazilians since the first meeting at Wembley in 1956. 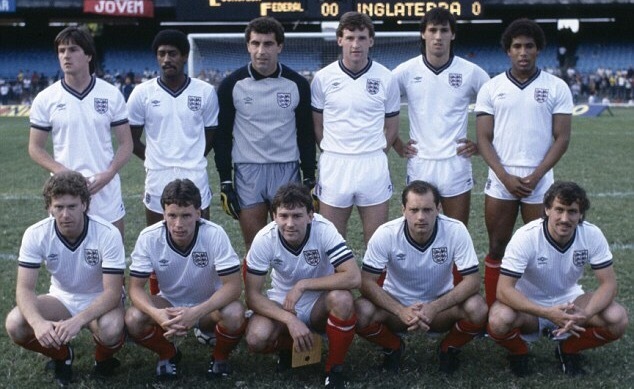 The England side was not totally devoid of experience, with five of the starting line-up – Woodcock, Bryan Robson, Kenny Sansom, Peter Shilton and Ray Wilkins – having played in the 1982 World Cup. But nobody else had more than 10 caps to their name and neither Hateley nor defender Dave Watson had ever started a full international before. Watson would partner Terry Fenwick who made his England debut the previous month and the only substitute used, Allen, was uncapped. Mick Duxbury, who had been at fault for one of the goals conceded against the USSR, was earning his sixth cap at right-back. England’s cause had not been helped by defender Graham Roberts sustaining an injury that curtailed his involvement on the tour. What happened that night is well-known. England’s young side coped admirably and the match would forever be remembered for one moment in the dying seconds of the first half. Barnes collected the ball on the left flank and cut inside, memorably weaving his way between opponents before joyously placing the ball into the net for an astonishing goal. Stuart Jones, reporting for The Times, correctly forecast that it was a goal that would “be remembered forever”. It was a most un-English goal and the fact it had come against Brazil in the Maracana added to the magic of it. John Barnes celebrates a goal still fondly recalled today. Barnes would see it almost as out-of-body experience, admitting later he could recall little of it apart from collecting the ball and the finish. But it was a wonderful moment for the nation to enjoy, or it should have been anyway. ITV would only start broadcasting live at half-time, moments after the goal went in. Viewers instead had to endure Surprise, Surprise before the broadcast began, with technical problems then meaning they had to be told about the goal before they saw it. Coupled with just two matches out of 15 at the European Championship being shown live that summer in Britain, it’s a reminder of where football stood at the time compared to today. But over in the Maracana the only concern was England stayed in front. Hateley had helped set-up Barnes and the favour would be returned on 65 minutes. Barnes put over an excellent cross and Hateley headed in to double England’s lead, one which they protected throughout the remainder of the game. A trophy was presented at the end, with young players such as Duxbury, Fenwick, Hateley and Watson forever able to say they had done something such greats as Bobby Charlton, Bobby Moore and Kevin Keegan never did – play for England in a win over Brazil. The England side that beat Brazil. England’s most two recent foreign visits to Luxembourg and France had been blighted by yobs running riot, further tarnishing the reputation of English fans. But it was to be hoped that travelling as far away as South America would deter the hooligans. While that was largely true, there would be another reminder of the problems England faced off the field as racist behaviour was on show from people supposedly supporting the side. 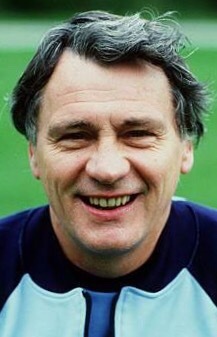 As England prepared to board a flight during the remainder of the tour – Bobby Robson recalled it being from Brazil to Uruguay, this article says it was from Uruguay to Chile – individuals believed to be National Front members were heard shouting abuse at Barnes and proclaiming England had only won 1-0 against Brazil as a goal scored by a man of his skin colour shouldn’t count. Robson would certainly never forget the incident. “How sick can you be?” he said of those responsible during the excellent BBC documentary Three Lions 16 years later. The racism in itself was disgraceful and the fact that any individual would chose to effectively discount such a marvellous goal because of a player’s colour was sickening. There was also hypocrisy on show as those responsible seemed to be overlooking that Barnes made the other goal for Hateley. But sadly it was indicative of the racism rife on the terraces in that era, with monkey noises still unfortunately heard. If the great goal by Barnes and presence of Chamberlain on the opposite flank had helped strengthen the reputation of black England players, then incidents such as this immediately acted as an unfortunate reminder of the work still do to be done to silence the racists. It would certainly leave a sour taste in the mouth. John Barnes in action against Uruguay. The second game of the tour against Uruguay promised to be tough. Although the Uruguayans had been absent from the 1982 World Cup, they were South American champions and in 1980-81 had won the Mundalito competition to celebrate the 50th anniversary of the first World Cup. Manager Robson knew this was going to be a difficult game, warning that “we cannot get carried away” after the Brazil success. This time viewers back home could watch the whole match live on the BBC, although they would have to stay up until nearly 1am to witness its conclusion. The final game of the tour looked like the ideal chance to give a game to some of the players who had travelled to South America but yet to appear, such as Stainrod, David Armstrong, Steve Hunt, Alan Kennedy, Gary Stevens (the Tottenham version) and Chris Woods. But apart from Sammy Lee who came on as substitute for his last cap, every player who featured had already played during the tour. It was clear Robson wanted to end with a victory and he was keen to build a familiarity to his side ahead of World Cup qualifiers in 1984-85. One player who was absent was Woodcock, who had flown home injured. Mark Hateley battles for possession in Chile. In front of a small crowd in Santiago it was another case of England failing to take their chances, with Chilean goalkeeper Roberto Rojas in inspired form. England should have won on the balance of play but they had to be content with a goalless draw. “If we had won 6-0 no one could have complained,” said Robson, while Curry wrote: “It is a long time since an England side has had quite so much possession on foreign soil. But it is not too often that they have come across a goalkeeper quite so acrobatic and apparently impassable as Roberto Rojas, the man they nickname Peter Shilton in this South American outpost.” The real Shilton was called upon to make one impressive save in the second half, as Chile made a rare foray forward. At the other end England could not take their chances, with Allen having the misfortune to see a series of chances go towards his head rather than feet. Captain Robson’s leadership was giving cause for optimism, as was England’s use of wingers and the young talent that was emerging. Manager Robson could arrive back in England feeling far less pressure than when he had departed for South America. With England’s cricketers spending the summer being thrashed by the West Indies, the nation’s football fortunes seemed positive by comparison. The side would go into the 1984-85 season with a new-found optimism and a succession of wins would follow in qualifying for the 1986 World Cup. There is no doubt that the trip to South America, and in particularly Brazil, had been justified. It certainly proved more worthwhile than the trip to Australia a year earlier. But in some ways the trip to South America was a false dawn for the personnel involved. When England met Argentina in the 1986 World Cup semi-final, only Fenwick, Sansom and Shilton would start having been in the side that beat Brazil. Chamberlain and Duxbury were never capped after 1984, while Allen would have to wait until 1987 to appear again. Watson and Woodcock would stay involved over the next two years but miss out on the 1986 finals squad. Wilkins and captain Robson would of course go there as the midfield duo but see their tournaments end prematurely for different reasons, while Hateley was left watching the Argentina match from the bench. His goal against Brazil in 1984 had thrust him into the spotlight and earned him a move to AC Milan, while he became a prominent player for his country. But England’s poor start to the 1986 World Cup led to him being sacrificed for Peter Beardsley and he would never regularly start internationals again. But for the other goalscorer against Brazil, the moment became a little bittersweet. It would remain a moment to treasure but it was hard to shake off the feeling that it would be something of a burden during the rest of his England career. Expectations went through the roof and he would struggle to replicate both the moment and his club performances when playing for England – his supporters believing he was not used correctly when appearing for his country. Despite being regularly called up to the squad, he didn’t start an international during 1985-86 and his involvement in 1986 World Cup was restricted to just 16 minutes. That would come against Argentina, as during that cameo Barnes gave one of his few England performances that the public viewed in the same light as when he shone against Brazil. 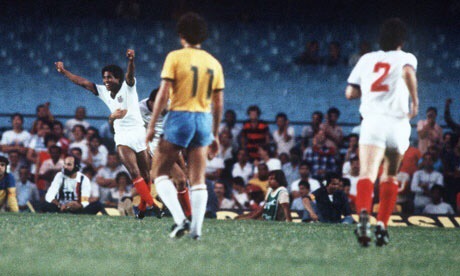 But more than 30 years later, that goal against Brazil remains fondly remembered across England. What a shame it couldn’t be enjoyed live on TV.